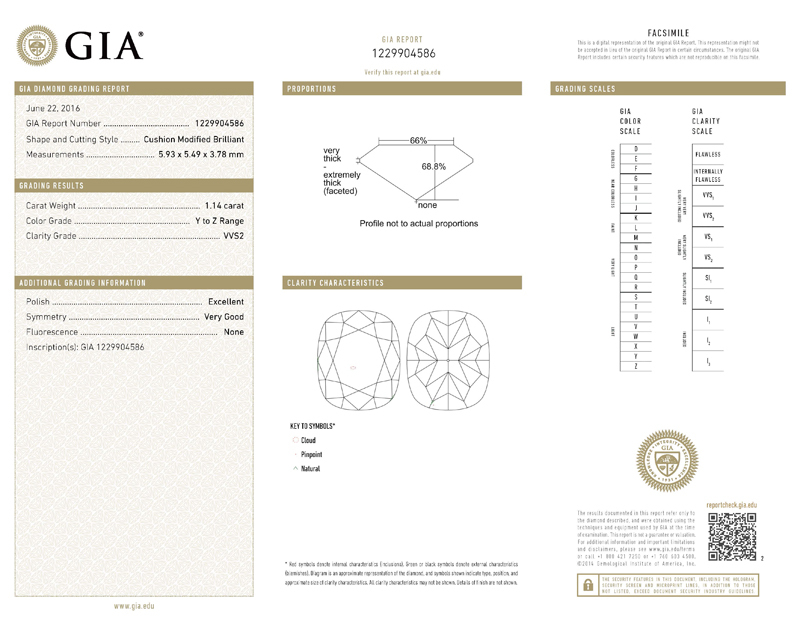 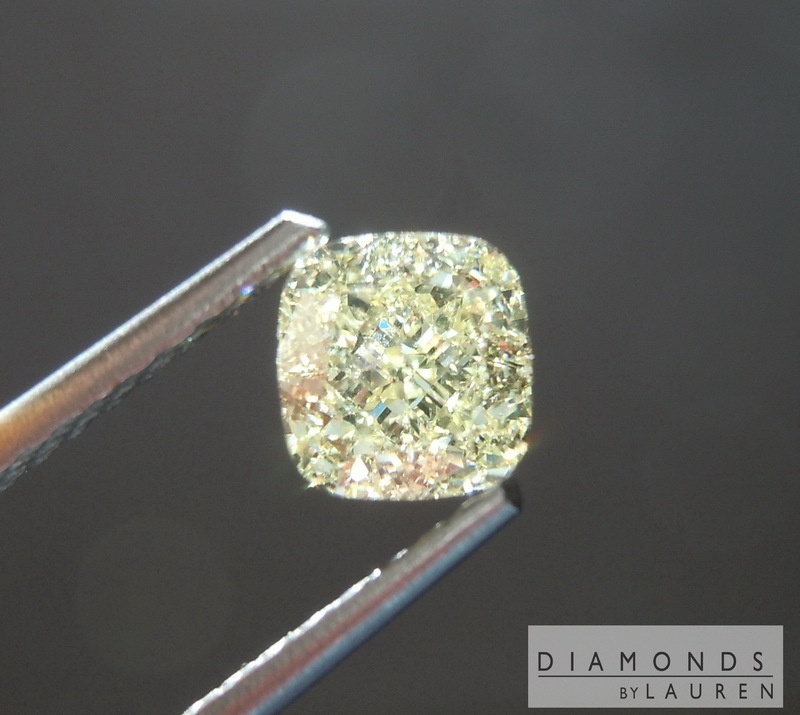 This is one beautiful cushion cut diamond! 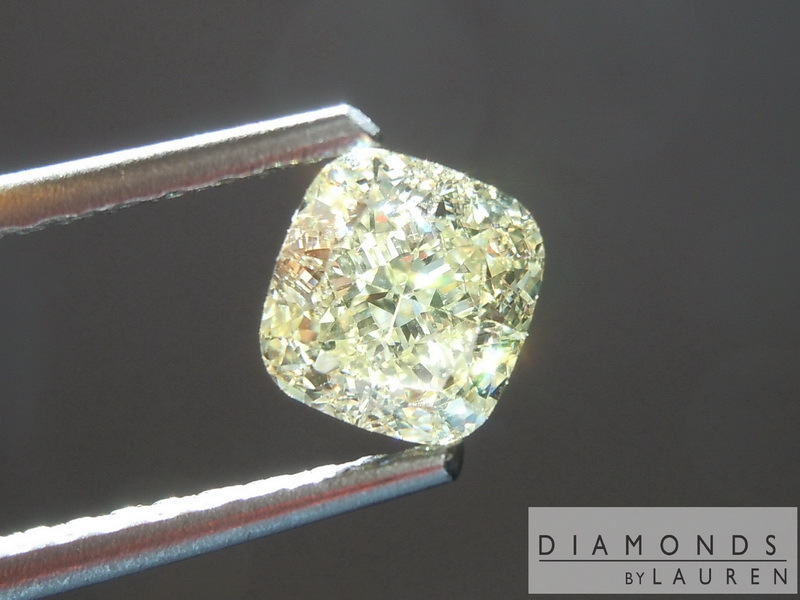 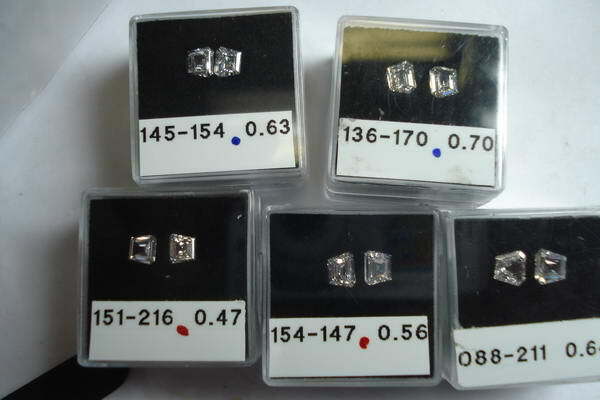 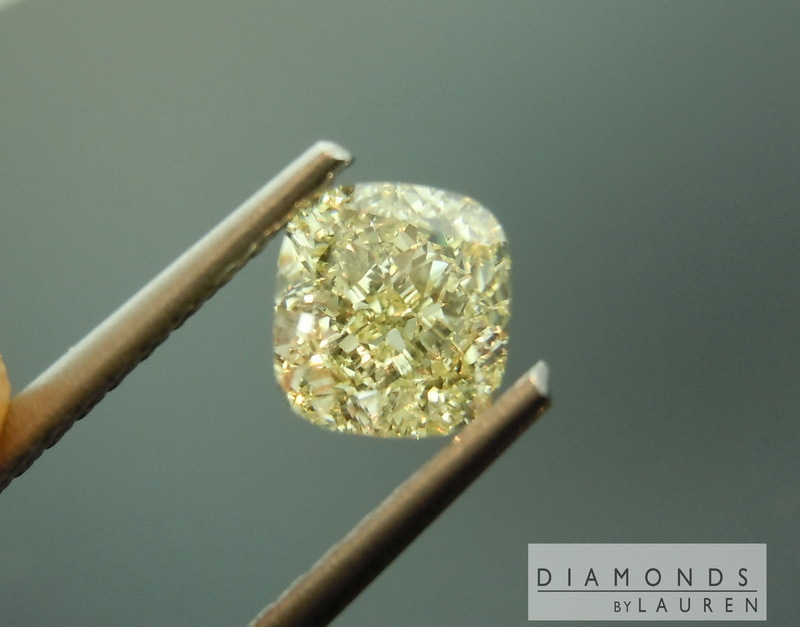 The cut is remarkable - tons of sparkle and fire coming off of this diamond. 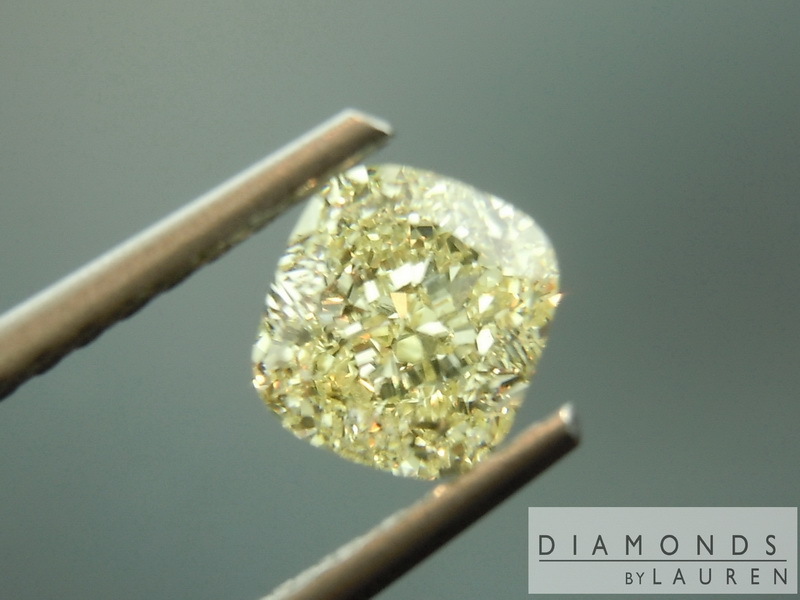 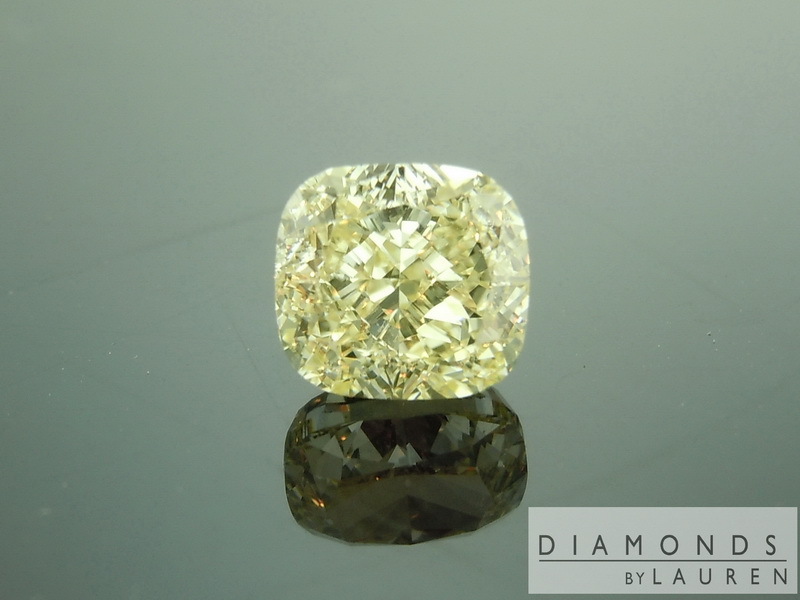 Although the stone is graded Y-Z color, it looks so beautifully pure and yellow. 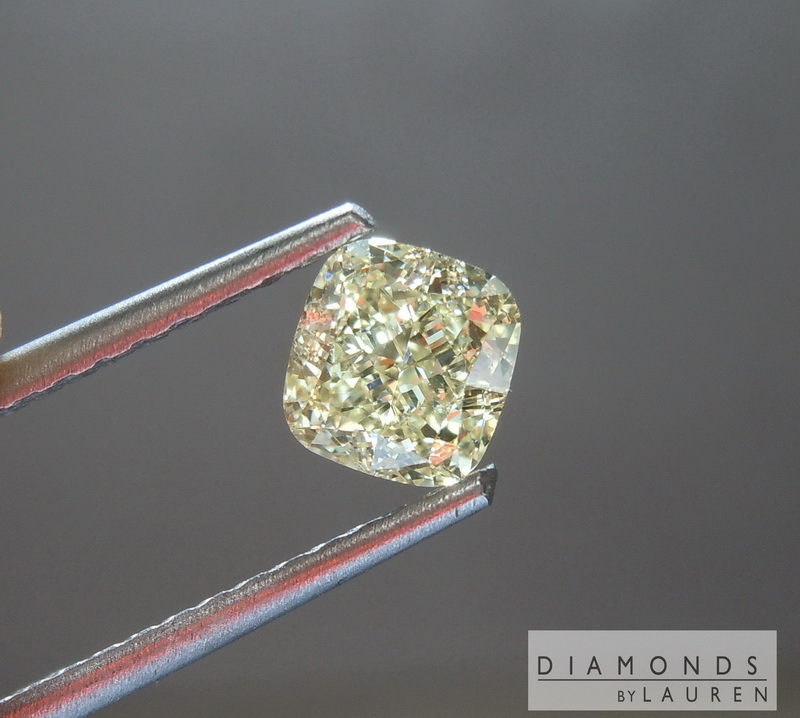 VVS2 clarity – who could ask for more? 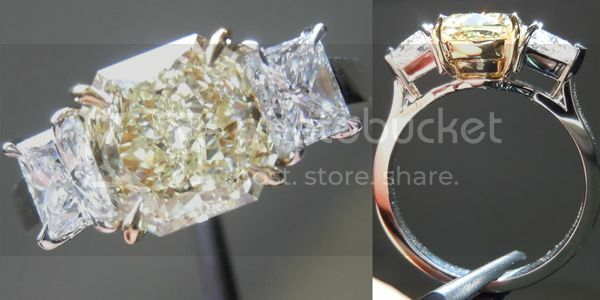 This is a truly beautiful stone at a great price. 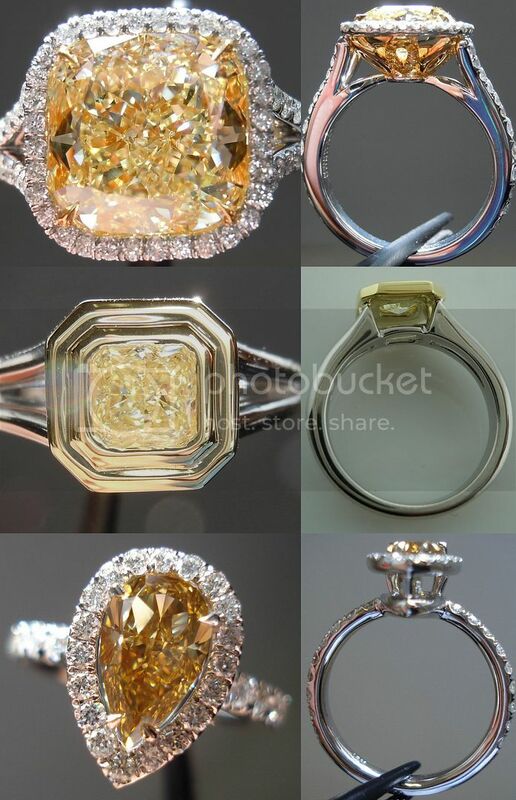 If you'd like to see what it would look likes once we set it, please take a look at the rings of the same color that we have in stock.